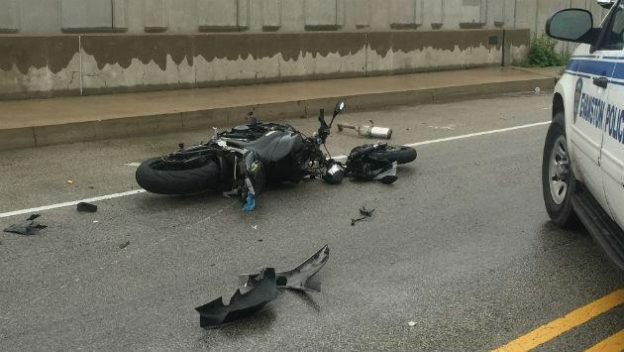 Approximately three-quarters of all motorcycle accidents in Chicago involve collisions or near-collisions with another car or truck on the road. Much smaller in size and weight than other motor vehicles, motorcycles are often overlooked or unnoticed by other drivers on city streets and state highways. The result can be a collision of catastrophic nature, resulting in a lifetime of medical bills and emotional suffering. The discrepancy in size and weight between motorcycles and other automobiles often puts motorcyclists at a much higher risk of injury or fatality. Given the fact that many of these accidents are the result of a defective vehicle part and/or a negligent automobilist, legal action should be taken on behalf of the injured rider. To do so, we encourage you to speak with Chicago injury lawyer Phil Berenz. Obstructions on the roads or poorly designed highways are also common reasons for motorcycle accidents. Determining who is at fault for your accident can be challenging. You may need an attorney on your side to help you with the investigation process. Let our Chicago motorcycle accident attorney help you hold the responsible party accountable for their actions through a personal injury claim. Berenz Law Network has recovered millions of dollars on behalf of our clients – many of them being motorcycle accident victims. For this reason, you can trust that your case is in the right hands when you turn to our firm for help with your claim. Not only will we review your case at no cost to you, but you won’t be expected to pay us a cent unless we are able to recover compensation for you! Chicago Injury Attorney Phil Berenz has the resources, skills, and experience to investigate your accident, as well as prepare and file a comprehensive claim for compensation. We understand the tactics that insurance companies use in order to reduce the amount of compensation they will pay, and we are fully prepared to fight for your right to fair and full compensation in a settlement or at trial. With so much at stake, you need to work with a firm that is committed to protecting your right to full recovery. Attorney Phil Berenz handles all types of motorcycle accident claims and is available to provide counsel 24 hours a day, 7 days a week. He also works closely with clients, making hospital and home visits when needed. If you have been injured in any type of motorcycle accident, you may need to take legal action. With millions of dollars recovered for our clients in the past, Phil can provide the experienced legal counsel that you deserve. Get started today! Take advantage of a free case evaluation and call 312-375-6524.